It’s been exactly a week since Superstar Mahesh Babu’s Brahmotsavam hit the screens across the world. The film is still continuing its run by collecting decent shares in most centres. There have been several figures claiming to be the final figure of the film’s first week Nizam collections. In a bid to put a full stop to these fake collections, Abhishek Pictures, the film’s Nizam distributors, disclosed the official first week figures from the Nizam area a while ago. According to the distributors, Brahmotsavam’s first week share is around Rs. 8,35,58,834. 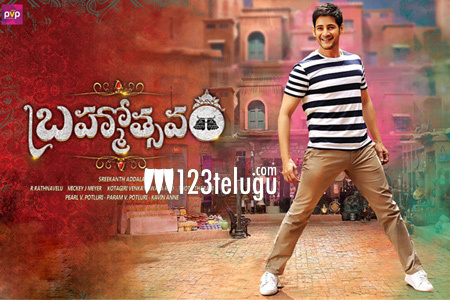 In the US, Brahmotsavam has so far collected $1,092,075 (7.31 crores).